Drax – an energy solution? 12 Feb Drax – an energy solution? According to research, we only have 12 years left to make changes to save our planet. Because of this, it is imperative to use sustainable operations as there is more pressure than ever to reduce carbon dioxide emissions. Energy Secretary, Amber Rudd has therefore announced that all coal plants should close by 2025. So what would be the affordable solution? There’s one power station in the north of England looking to clean up the future of energy, and we will tell you a little bit more about it. Need help in reducing your carbon footprint? Contact ESS. The renewable generating station, based near Selby, North Yorkshire aims to reduce carbon dioxide emissions from electricity generation. It aims to enable a zero carbon, lower cost future for energy. The biggest single site power station in the UK is also currently the largest decarbonisation project in Europe. Not only this, but it is the cleanest, since it is controlled. The fitted equipment removes 90% of sulphur dioxide (SO2) from emissions. The plant has been operating for over a decade and has already reduced emissions by up to 86%. The power station has a capacity of 3,906 megawatts (MW) and produces around 20 terawatt-hours (TWh) of power a year, resulting in the ability to power more than 6.4 million homes, making it a smart energy solution. So far, it provides about 6% of the UK’s electricity supply, but with room to grow. The plant also helps to provide reserved power for unplanned losses or peaks in demands, it provides static employment (statistic) and it produces flexible renewable support to rid of coal technologies. … or just a problematic plant? Environmentalist campaigners, however, are still concerned about the emissions that the plant produces, even with the aforementioned improvements. As it stands, the generating station still remains among the UK’s largest burners of coal, and dust particles have increased by 135%. In a similar way, Drax has links to deforestation. It burns the the equivalent of more than the UK’s total annual wood production each year. But this is obviously something that they will start to phase out as their plans for sustainability gain momentum. Between 2007 and 2012 the plant upgraded to save one million tonnes of CO2 emissions, and are now entering a similar phase once more. 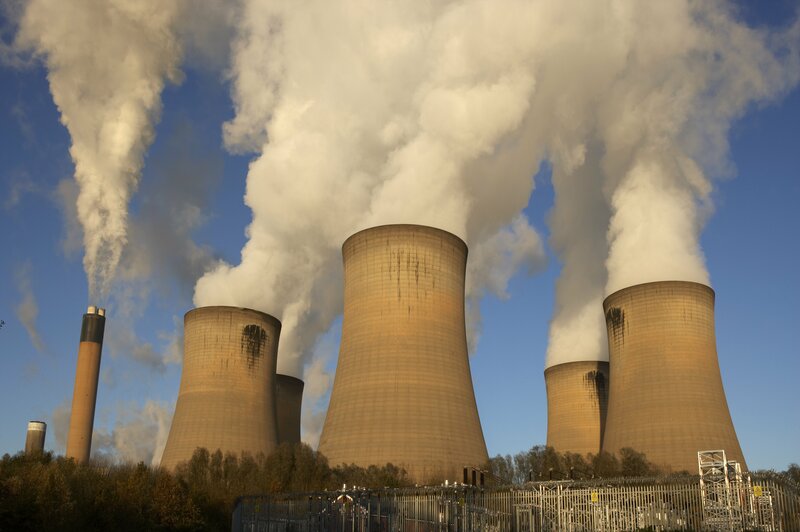 The station has now saved its 20 millionth tonne of carbon since it started burning sustainable biomass, and in august 2018 Drax switched on its fourth biomass generating unit. This highlights the achievements of its coal-free ambitions so far. As a result, the plant has already helped to reduce CO2 levels, since half of Drax stations run on compressed wood pellets instead of coal. Wood pellets are manufactured and supply a good quality of sustainable low carbon electricity. The power station aims to phase out fossil fuels by 2015 by burning these pellets. For more information on Drax, visit their website. (Or read our article on the new methods that generate power).